Athens (AFP) - He has often been lambasted as ignorant of history, but Greek Prime Minister Alexis Tsipras trumped both his critics and the odds Friday by solving a 27-year name row with neighbouring Macedonia, one of the world's most enduring diplomatic rows. After leading his country back from the brink of bankruptcy, the 44-year-old leftist prime minister has added another feather to his cap with a diplomatic breakthrough few would have believed possible months ago. On Friday, Greek lawmakers approved a deal brokered by Tsipras and his Macedonia counterpart Zoran Zaev in June to rename Greece's northern neighbour the Republic of North Macedonia. It is an achievement that has seen both leaders nominated for the 2019 Nobel Peace Prize -- even as it came at an immediate cost to Tsipras by sinking his coalition government and saw protests in both countries. The deal will end a bitter row that began in 1991 with the independence of Macedonia, which took the name of the history-rich northern Greek region that lies just across the border. They note that just a few years back, Skopje enthusiastically sought to appropriate Alexander the Great, ancient king of Macedon and one of Greece's greatest heroes. "Your foreign policy is superficial and ignorant... you should be ashamed," main opposition leader Kyriakos Mitsotakis told the government this week. For Tsipras -- Greece's youngest prime minister in 150 years and the first avowed atheist -- negotiating in times of crisis has almost become second nature. A former Communist and student leader, his rise through the ranks of the leftist Syriza party was swift -- secretary of the party's youth wing at 25, Athens mayoral candidate at 32, party chief at 33, parliament lawmaker at 35. Believing that he could persuade Greece's creditors to loosen the country's austerity straitjacket, Tsipras faced them head-on upon taking office in 2015. But his erratic negotiating tactics -- and posturing by his maverick first finance minister Yanis Varoufakis -- often infuriated his European peers, who accused him of gambling the country's future in the eurozone by engaging in irresponsible brinkmanship. It took German Chancellor Angela Merkel and France's former president Francois Hollande to persuade Tsipras to change course and sign on to more reforms before Greece was pushed out of the common currency. Among those who drastically revised their views on Tsipras is EU economic affairs commissioner Pierre Moscovici. 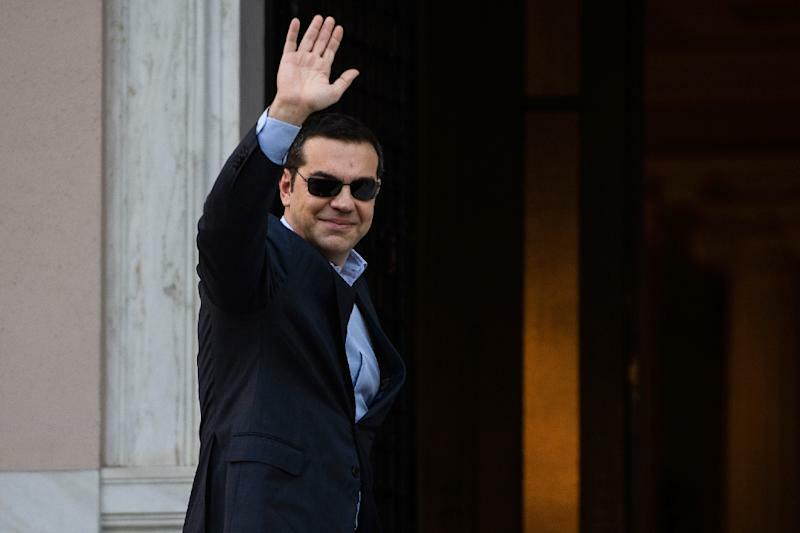 The Frenchman told Le Figaro newspaper last year that he was "alarmed" when Tsipras stormed to power in 2015, a radical pledging to rip up Greece's multi-billion bailout deals. But he said he soon discovered a "bright, agile and brave person who managed to turn his people around" while transforming himself into a "responsible" leftist. An engineer by training, Tsipras was born in the suburbs of Athens in 1974, the year a seven-year army dictatorship that mercilessly persecuted leftists collapsed. He has two boys with electronics engineer Betty Baziana, whom he met in high school. They have never married, despite the country's strong conservative traditions. A lifelong fan of Che Guevara, Tsipras has named his youngest son Orfeas Ernesto after the Argentine revolutionary. But Tsipras' actions since taking office have harmed his leftist credentials and his former French ally, far-left former presidential candidate Jean-Luc Melenchon, has been scathing. "Tsipras is one of the most pathetic figures on the European political scene," the populist French leftwing leader said last year. Tsipras has called the Macedonia deal one of his "greatest legacies" as premier, second only to leading Greece out of the bailout era. Even so, the breakthrough weakened his hold on power. He won a confidence vote after his nationalist allies defected from the government, but there is speculation that polls planned for October could be brought forward to May or even earlier.